Dine all day for one low price. Just $31.99! With the All Day Dining Plan you'll never go hungry while saving a bundle. Enjoy an entree and a side every time you choose to stop in at one of the participating restaurants inside the park for one visit during the 2019 season. Best of all, there's only a 90-minute interval time between meals. Add food to your fun with the All Day Dining Plan. Please see Dining Plan locations and meal options below in the Frequently Asked Questions. Enjoy refreshing Coca-Cola beverages including Minute Maid Lemonade, Nestea and Fruitopia Strawberry all day long and get FREE refills* on your first visit in 2019! Plus, pay only $1.25 (tax included) for each refill whenever you visit again during the 2019 season. *15 minute interval time between refills. Only valid for 2019 visits. Price available online only. Make the most of your visit by including a Single Meal Deal for the 2019 season. The Single Meal Deal includes an entree, side and a regular size fountain drink at participating restaurants throughout the park. Menu and locations are subject to change. 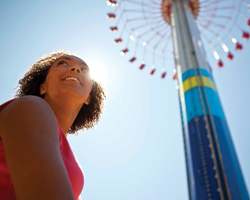 When you purchase an All Season Dining Plan, it will automatically be uploaded to your season pass. Simply present your pass at any participating locations throughout the park and enjoy lunch and dinner (with only a 4 hour interval between meals) every time you visit. Drinks are not included. However, you may purchase an All Season Souvenir Bottle or Season Pass Drink Plan online with free refills all season long. Guests with an All Day Dining Plan voucher will receive a wristband at any of the participating locations. Enjoy an entree and side as often as every 90 minutes throughout the day. Drinks are not included. However, you may purchase a Souvenir Bottle online at our best price. Guests with 2019 All Season Dining will automatically have it included on their Season Pass. 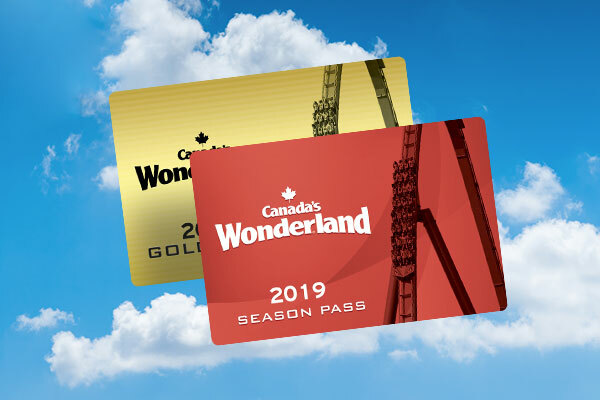 Simply present your Season Pass at any of the participating locations throughout the Park and enjoy two meals every time you visit. Drinks are not included but we offer a Souvenir Bottle and Season Pass Drink Plan for unlimited free refills all season. May be purchased at any participating Dining Plan location. Or, save yourself time and purchase All Day Dining online before you go to the park. Include the All Season Dining Plan onto your Season Pass and stay fueled for the fun all day long. All Season Dining includes two meals at participating locations throughout the Park every time you visit. Available for purchase online or at Front Gate Guest Services. Already purchased your entrée? Upgrade to the All Season Dining Plan by brining your receipt to Front Gate Guest Services and receive the price of your entrée before tax off the price of the Dining Plan. The Single Meal Deal includes a fountain drink. While the All Day and All Season Dining Plans do not include drinks, you may consider buying a Souvenir Bottle online. With a Souvenir Bottle, you can enjoy free refills all day long on your first visit and $1.25 (taxes included) refills for the rest of the season. Or, get unlimited free refills all season long with the All Season Souvenir Bottle or Season Pass Drink Plan. Enjoy refreshing Coca-Cola beverages including Minute Maid Lemonade, Nestea and Fruitopia Strawberry all day or all season. The choice is yours! Please Note: The All Day and All Season Dining Plans at Marketplace International Buffet do include a drink. *Dining Plan participating locations & menus subject to change without notice throughout the season and from year to year. Operating hours vary by location and some locations may not be open on select operating days. **Please Note: 2019 All Season Dining Plan holders can enjoy an All-You-Can-Eat Buffet meal during the 2019 season for only $5.00 (plus tax). 2019 All Day Dining Plan holders can enjoy an All-You-Can-Eat Buffet meal during the 2019 season for only $10.00 (plus tax). What meals are available with a dining plan? Over 90 menu items are included at 20 locations throughout the park! Do the Dining Plans include Special Event food options? Some of our Special Events food items are included on our Dining Plan. Please visit our Special Events page to see what meals are offered. 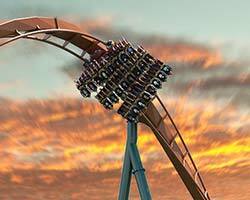 The Season Pass Drink Plan can be added to all Season Pass types, except Haunt passes. You can use these on any public operating day, and the programs are valid for the regular season. It is not valid for Halloween Haunt or WinterFest.